At present, most of the mining crushing and industrial sand making plant produced a lot of limestone powder waste (limestone powder content is high). This not only pollute the environment, and the raw material waste is serious. It is imperative to find a reasonable solution to deal with limestone powder waste "waste into treasure". The results show that the limestone powder as the admixture of concrete, has the effect of improving the concrete structure, enhancing the workability of anti - sulfate attackability of concrete under low temperature. In recent years, limestone powder into the concrete as a binder, has become the hot topic and development trend in the concrete industry. 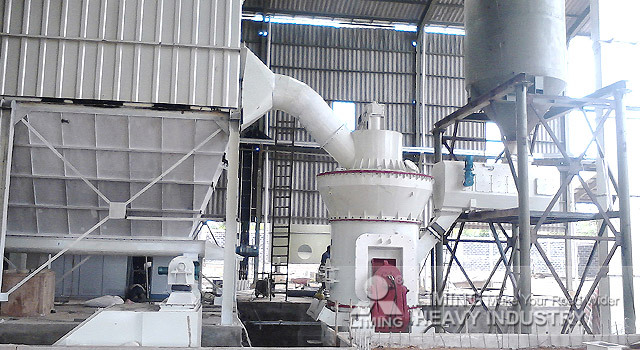 Commercial concrete mixing plant generally uses 325 mesh limestone powder, the sieving rate is not less than 85%. The research shows that C30 ~ C50 limestone powder for concrete can be produced completely. How to improve the quality of limestone powder, the key is to control the preparation process. Therefore, to produce high-quality limestone powder for concrete, we must first choose the limestone grinding equipment with excellent performance. As the largest supplier of crushing and grinding equipment in Asia, Liming Heavy Industry can provide the integrated solution of limestone powder making system fof concrete. More about limestone powder making machine and process configuration details, please contact our online customer service.